Ukrainian Institute is launching an international programme EXTER and announces the first open call for Ukrainian artists, curators and critics to participate in art residencies throughout 2019. The first round of the programme features short-term residency opportunities in eight institutions across Austria, Germany, Italy, Spain, and USA. EXTER is a long-term programme of the Ukrainian Institute aimed at building sustainable partnerships with international art residencies. The programme aims to spark research, processes of exchange and facilitate cooperation of artists, curators and other actors in the sector. EXTER programme involves designing and creating opportunities for international mobility of people, ideas, experience, and practices. The programme is based on collaboration with leading contemporary art residencies in the countries of the Ukrainian Institute's activity. Programme partners are organisations and institutions that are well integrated in professional community, have the experience and infrastructure to meet the residents' needs as well as an extensive network of local contacts. Striving for a balance of self-directed work and curated programming, each individual residency is jointly developed by Ukrainian Institute, partner organisation and the resident based on the latter's professional needs, local context, and institutional framework. EXTER programme is designed to actively engage participants with the cultural scene of the cities of residency, provide opportunities for networking and public presentation of their practice to foreign audiences. 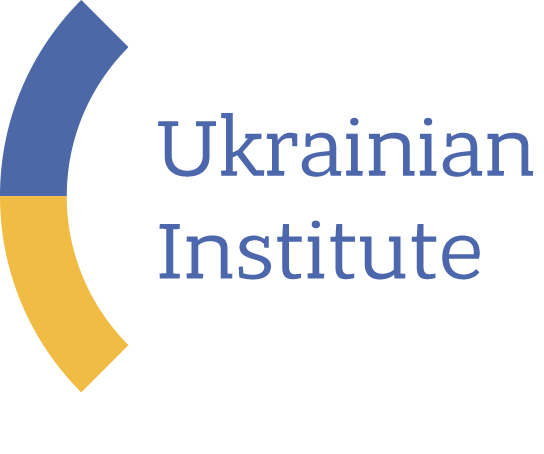 Residents will be jointly selected by teams of the Ukrainian Institute and the respective partner institution. Selected artists, curators and critics will be given time and space for creative work, as well as institutional support in establishing contacts with local art communities. Moreover, individual programme will be tailored for each participant based on their practice and expectations stated in the application. Production of new works or participation in exhibition projects during the residency is possible, but not obligatory. Relevant higher education or other professional training certificates are a plus, but not obligatory. Please note that the above list is general, but not exhaustive. Full list of requirements and conditions of participation in a specific residency can be found in the corresponding full description below. To apply for the programme, please send a letter titled "ЕКСТЕР 1: Заявка на участь_LastName_FirstName" to programmes@ui.org.ua no later than 9 May 2019, 11:59 PM, Kyiv time. Filled-in application form (please find it here) titled 'LastName_FirstName_application_EXTER1.' Please note that in the form you must indicate two residencies of interest. Portfolio in English presenting the applicant's relevant practice (max. 10 pictures, pdf file of up to 10 Mb titled 'LastName_FirstName_portfolio_EXTER1'). CV in English (max. 2 pages, pdf file titled 'LastName_FirstName_CV_EXTER1'). The announcement of winners will take place no later than 31 May 2019. Since 1979, Ars Electronica has sought out interlinkages and congruities, causes and effects between art, technology and society. The Festival as proving ground, the Prix as a competition honoring excellence, the Center as a year-round setting for presentation & interaction, and the Futurelab as an in-house R&D facility extend their feelers throughout the realms of science and research, art and technology. Ars Electronica's staff includes more than 250 employees from all over the world, whose skills and dedication contribute daily to Ars Electronica's outstanding international reputation. Under the agreement between the Ukrainian Institute and Ars Electronica, a 1-month fully funded residency is available for one Ukrainian curator in August 2019 which will culminate in the resident's participation in the 2019 Ars Electronica Festival from 5 to 9 September. In Ars Electronica's division Festival-Prix-Exhibition the curator will be responsible for substantively developing and producing a panel, workshop or discursive event in the framework of the 40 years celebrations of Ars Electronica and also working together with artistic associates and partners institutions throughout Austria and abroad. The following areas are considered as most relevant to Ars Electronica: interactive art; digital music and sound art; computer animation; film and visual effects; digital communities and social media; hybrid art; bio art; Artificial Intelligence & Life Art; digital design. Integration in a multidisciplinary team with different cultural background and high communication skills. With its innovative concept of an international artist residency and contemporary art school, the BAI is a new and independent institute for artistic training and advanced training and research in Berlin. The BERLIN ART INSTITUTE is located in the building complex 404 at Industriebahn Berlin in the Berlin district of Weißensee. The BERLIN ART INSTITUTE makes use of the large number of national and international artists in Berlin and generates its temporary and regular partners from this pool to make a broad and flexible training offer. The regular events of the BAI with alternating artists, critics, curators etc. enable all participants an exchange with the actors of contemporary art in Berlin during their study stay. The program is conducted in English. Workplace | The studios of the BAI are available day and night for all participants of the studio program. The bright rooms are between 45 and 55 square meters large and around 3.5 meters high. They are equipped with working tables and chairs, overhead lighting, and light protection for the windows. One studio can be used by 3 to 5 persons. The personal workplace is approx. 10 – 15 square meters large. Discourse | Thematic reflection on and discussion of the participants' artistic works and additional positions. The forum includes issues of mediation and self-organization. Coaching | Feedback, training and consulting for portfolio preparation and documentation, presentation and visualization of their own artistic work. Block seminar (Guest Lecturer) | A three-day block seminar by a guest lecturer is held each month: he/she presents his/her artistic position and engages in a collaboration and an intensive exchange with our participants. Visits | Every two weeks we organize visits to galleries, exhibitions, or museums that include discussions with the gallerists and curators, if possible. Lecture (Guest Lecturer) | Once a block, we invite a currently interesting speaker to deliver a lecture. Individual and group meetings | The studio program includes weekly individual and group meetings dedicated to their artistic work. Certificate | The BERLIN ART INSTITUTE acknowledges the study stay with a certificate. Photo Courtesy of Berlin Art Institute. Organized by independent cultural organization BLOCKFREI, the fifth edition of Curators' Agenda: VIENNA 2019 (C'A) is taking place for six weeks in Vienna in September and October 2019. C'A is an annual, unique, know-how program for international, emerging curators who are interested in exploring Vienna's contemporary art scene and deepening their practical knowledge on production and realization of exhibitions. The program includes both practical and theoretical segments. Practical program includes visits to artists' studios, museums, off-spaces, art collections, meetings with both institutional and freelance curators, specially designed guided tours through exhibitions in various museums and galleries as well as visiting current programs, which are taking place at that moment (Viennacontemporary, Parallel, Vienna Biennial, curated by). Furthermore, the participants are also being introduced to different artist-in-residence programs such as KulturKontakt, quartier 21 and das weisse haus, having the chance to get to know the visiting artists. Besides an intensive schedule, where new contacts are being made, the participants are also having weekly theoretical workshops as well as workshop on a project management in order to help them with the final part of their residency, a co-curation of a mutual group exhibition realized in partnership with the University of Applied Arts Vienna. By reflecting on the lessons learned and by drawing upon their own experiences and competencies, participants are given a task to develop their own, personal approach to the Viennese contemporary art scene, create a concept and execute a mutual group exhibition. Learn more about the 2019 programme here. Under the agreement between the Ukrainian Institute and BLOCKFREI, two fully funded positions are secured for Ukrainian curators at the Curators' Agenda: VIENNA 2019 programme. The International Studio & Curatorial Program (ISCP) is a leading nonprofit, residency-based contemporary art institution for emerging to mid-career artists and curators from around the world, including the United States. With 35 artists and curators in residence at all times, the program provides residents with the space, time, and support to develop new ideas and projects. With additional activities tailored for professional development and public engagement, ISCP serves as an important platform for producing, presenting and contextualizing contemporary art through a diverse range of international perspectives. ISCP's public programs encourage dialogue and integrate residents into the cultural landscape of New York City. The residency includes 24-hour access to a private 300 sq. ft. furnished studio space; regular studio visits from Visiting Critics and an appointed Advisor; Field Trips to museums, galleries and other cultural venues; and participation in Artist Talks and Open Studios. Under the agreement between the Ukrainian Institute and ISCP, a 1-month fully paid residency is available for one Ukrainian artist/curator from 1 to 31 July, 2019 which includes participation in all of ISCP's residency program activities, plus a private studio space. Please note that the present program is not available for graduate students. R.A.R.O. is an itinerant residency programme that allows artists to develop their projects in the different studios across Madrid that R.A.R.O. 's team offers. Each artist can work in a minimum of two studios for a period of 1 month and deepening in one or more techniques, according to the project that they are going to develop. During their stay, artists may exhibit their work, get in contact with local artists, curators, collectors among others. The full list of studios can be found here. Under the agreement between the Ukrainian Institute and R.A.R.O., a 1-month fully funded residency is available for one Ukrainian artist in September-October 2019 (the final timeline will depend on the availability of the studios the artist will want to collaborate with). The programme includes working in studios, organized meetings with the local scene, visits to exhibitions, museums and galleries, public presentation of the artist's practice, and video and photo documentation of the residency. To apply, please choose at least two studios you would like to work at and indicate them in the application form. Please note that applicants must be ready to be filmed during their residency. < rotor > is a center for contemporary art in Graz, Austria. < rotor >'s programme starts from visual arts and focuses on artistic works that explicitly deal with the social, political, ecological and economic questions of the present day. It is with great pleasure that < rotor > takes part in the artist-in-residence programme 2019 of the Ukrainian Institute. We are looking forward to hosting one artist from Ukraine in Graz for one month in July 2019. The main purpose of this period is to give the artist the opportunity to get to know Graz as an art location and to establish contacts with the local art scene. In doing so, < rotor > will give the best possible support. Under the agreement between the Ukrainian Institute and < rotor >, the residency will be fully funded. In the frame of the Ukrainian Institute's Open Call, we would like to draw the attention of artists interested in Graz and our work to this year's focus. As of mid-2019, < rotor > will address the thinking about radical democratic principles going hand in hand with individual freedom, equality and justice. In a time when ideological mind cuffs, nationalist escalations and totalitarian tendencies are spreading, anarchist approaches are more in demand than ever. In the words of Ilja Trojanov, a writer living in Vienna, we regard anarchism as a "multidimensional, flexible, undogmatic" form of thinking that "can never form a fixed system because there can be no real liberation of thinking within the rigid system." In this context an exhibition is planned for Graz in September and another one for Kharkiv in October 2019. An artistic examination of this field is no requirement for participation in the residency in Graz, but artists who are interested in working in this direction are invited to clearly state this in the application. Photo Courtesy of < rotor >. Viafarini is a creative incubator and a hub for visual arts located at Fabbrica del Vapore, Milan, founded in 1991. VIR Viafarini-in-residence, located in the organization's historic premises, is available as a shared studio for artists, curators and professionals of the cultural and creative sector. VIR is a place open to dialog between visual arts and other forms of expression and creative incubation, aiming at giving space to the artistic productions of the hosted artists and facilitating skills' exchange and professional growth. At regular intervals the doors of the shared studio, which can always be visited by appointment, are opened to the public in occasion of the VIR Open Studio, for the presentation of the artists' practices. The working place consists of two rooms connected to a wider space, for a total of over 240 square mt, where artists work side by side for variable periods. 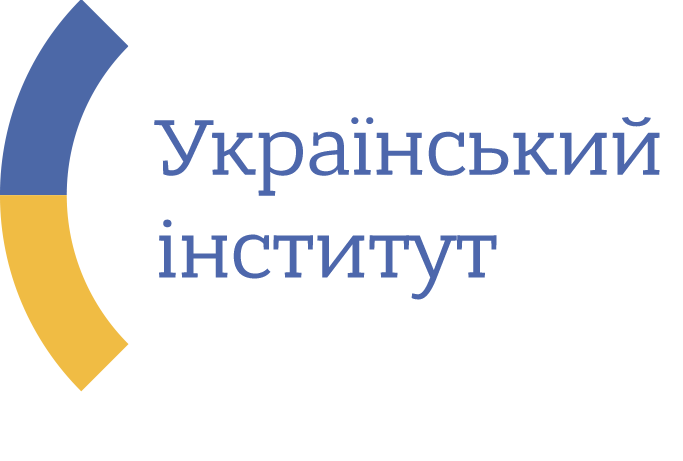 Under the agreement between the Ukrainian Institute and Viafarini, a 1-month fully funded residency is available for one Ukrainian artist/curator/critic in September 2019 which includes studio visits by local curators and artists, professional assistance in reaching the Italian and Milanese cultural scene, access to the DOCVA Documentation Center for Visual Arts at the Fabbrica del Vapore complex, and organization of one public event to present the resident's research. Visiting Curators Vienna is a curators-in-residence program for international established curators organized by Verein K. In the course of a ten-day program, the selected participants will be given comprehensive and profound insights into the contemporary Viennese art scene, with the aim that the participating curators curate Austrian artists in their next project outside of Austria within the upcoming two years and thereby present the Austrian contemporary art scene internationally. With the wide-ranging exchange with established curators, artists, academics and other representatives of the Viennese contemporary art scene, Visiting Curators Vienna offers curators an ideal supporting programme for the development of lasting network, which can serve as the basis for future international cooperation in the field of contemporary art and culture. The residency program will consist of artists' studio visits, museums, off-spaces, art collections, galleries guided tour through selected exhibitions, meetings with other critics and curators. The program will be created by the selection committee as well as by the Verein K team both for the whole group as well individually for each participant according to their requests (assistance will be given in selecting artists, curators and institutions relevant to your current projects and interests). Under the agreement between the Ukrainian Institute and Verein K, one fully funded position is secured for a Ukrainian curator at the Visiting Curators Vienna 2019 programme. will realize an exhibition in the upcoming two years outside of Austria and are interested in including artist(s) based in Austria. Photo Courtesy of Verein K.